Italian giant Fiat is going to be hard at work for the next five years. 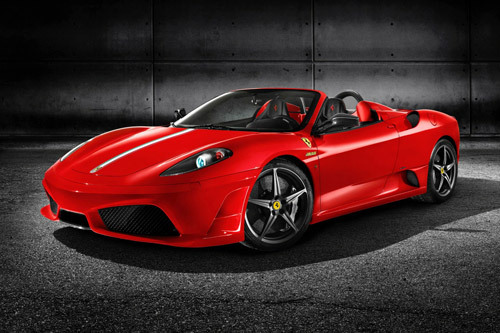 They have released a very detailed business plan for Ferrari, Fiat and Alfa Romeo. Why do we care? Well, aside from the fact that all three brands make ridiculously great cars, the business plan lays out what we’ve known for a while: Fiat and Alfa Romeo will be coming to Canada. We’re extremely excited about that, but obviously, since Ferrari is Ferrari, they get first dibs on our coverage of their business plan. And here it is. Ferrari will have six new models in the next few years. The 612 Scaglietti will get a replacement late next year with an expected addition of a hybrid set up. The V12 will stick around though, and it will likely be more powerful. The ridiculously good looking 458 Italia will spawn a Spyder version for those who prefer drop top thrills, and there is going to be a 599 GTB replacement as well. The California will be updated. The biggest news is that the discontinued Enzo hypercar will indeed have a successor! No word of an expected release yet. Check out Fiat and Alfa’s business plan for the North American market after the jump. Around 2011 the 500 will be Fiat’s first model available to us Canadians. There are reports that a four door version will be produced specifically for North America as well. Then a small sedan is expected to follow in 2012, along with a compact MPV that will likely compete with the Mazda5. Alfa will be introducing the large Giulia sedan in 2012. There are rumours that a wagon version will be available for Canadians only since we are more forward thinking than our SUV loving neighbours to the south. The subcompact MiTo is going to come along in 2013 along with the Brera! In 2014, a compact SUV is planned, but only if the demand is there.